Sell Your House in Houston? First, Do You Have One Of These House Problems? Do you worry that your vacant house will be broken into? Are you moving and cannot afford 2 house payments? Are you tired of being a landlord dealing with crazy tenants? Did your agent fail to sell your house and now you’re stuck? If you answered “Yes” to any of those questions, then we can probably help. Because we help homeowners who are facing these types of stressful problems. That’s what we do. 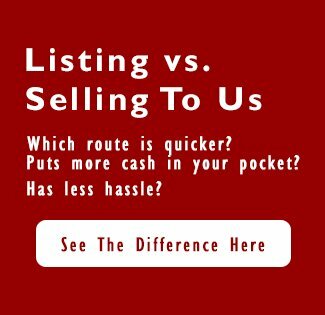 We buy houses fast all around the Houston area. And it doesn’t matter to us whether you live in it, you’re renting it out, or it’s vacant. If you have a property that you need to sell, we’d like to give you a fair cash offer for it. No cost. No commissions. No obligation. Then you can choose the closing date that works for you.